Take a break from the hustle and bustle of everyday life and get back to nature amidst beautiful surroundings here at Hindhead Commons. Dress in old clothes and go on an outdoor adventure - run, jump, explore the woods and heathland. Fallen trees are great for balancing on and playing hide and seek. Pick up sticks and make a den or look out for mini beasts creeping nearby. At weekends head over to the shepherd's hut to borrow a tracker pack; they contain spotter sheets, pencils, binoculars and a compass to help your little ones explore the great outdoors. Escape and wonder at the largest spring-formed feature in Britain – a breath-taking natural amphitheatre. The slopes are covered with heath, small streams and areas of woodland. This sandstone hill lies above the Devil's Punch Bowl and is the second highest point in Surrey. Admire the wonderful views across the Weald and look for famous landmarks; on a clear day you can see London and other Surrey hills including Leith Hill and Box Hill. There’s a whole host of wildlife to discover all year round from birds and insects to grazing cattle and wild ponies. Now that all traffic passes through the Hindhead tunnel, the route of the old A3 is redundant to cars and has become a super highway for wildlife crossing from the Devil's Punch Bowl onto Hindhead Commons. The Commons are a wonderful place for the sights, sounds and smells of nature. Savour the far-reaching views; listen out for the many different bird songs including the nightjar, stonechat and woodlark and in the woodland green, great and lesser-spotted woodpeckers. Breathe in the woodland scents. Close to Hindhead Commons and the Devil's Punch Bowl are two of our most beautiful holiday cottages. Emley Farmhouse sleeps 10 and Frensham Common Cottage sleeps five people. Enjoy a short break or longer stay, exploring the Surrey Hills; return each evening to open log fires, peace, tranquillity and wonderful views. We've put a telescope on the top of Gibbet Hill near the triangulation point. It looks out towards Leith Hill, London and the Weald. It's free to use and was kindly donated by the Haslemere Natural History Society through the generous legacy of member Mrs Clare Britton. Enjoy food and drink from the café and stroll around the 300m easy access circular route from the car park to the sandstone viewing platform. 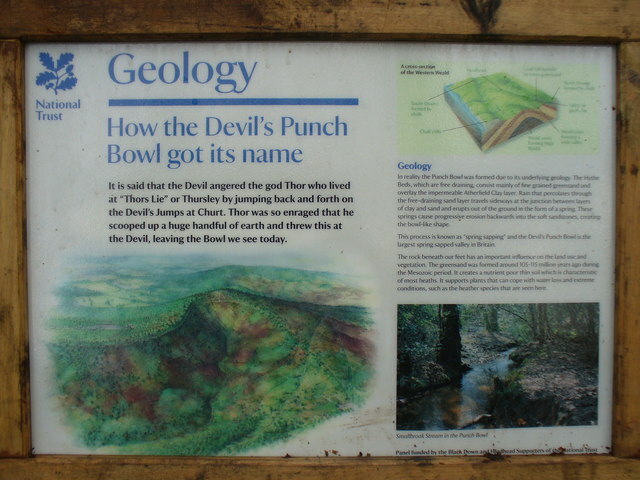 Relax and admire the superb panorama out over the hills of the Devil's Punch Bowl. 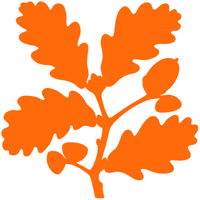 There are so many trees at Hindhead, why not make a little educational trip. get your little ones a book or worksheet and help them identify the trees you find.